Editorial credit: George Sheldon / Shutterstock, Inc.
On January 7th and 8th, I had the privilege of being the sole guest on two radio broadcasts; “We the People Radio” from northern California then WOBC – with Mike Volin out of Pennsylvania. I mentioned during each program a little known fact that was about to become well known reality…namely, soon after assuming the Office of President, Mr. Trump authorized the Inspector General, Michael E. Horowitz, to begin a thorough and complete without obstructions investigation into the 2016 Election! To seek-out and identify any collusion by and between the Clinton Campaign, the FBI, the DOJ, the Russian government or any other government, and any individual or entity. Release of any and all findings shall be determined at the sole determination of the Inspector General. An informal statement by the Inspector General’s Office stated a full and complete release of facts and findings would be on Monday, January 15th, 2018, and this I shared to the surprise and delight of hosts on both mentioned radio broadcasts. The release of all facts and findings would be directly from Inspector General Horowitz to the Department of Justice and simultaneously to the Chairman of the U. S. House and Senate Committees on the Judiciary, House Chairman Bob Goodlatte and Senate Chairman Chuck Grassley. The American People would then become aware of the findings. Last evening, Friday, January 12th, 2018, approximately 6pm Washington, DC time the Inspector General provided 1.2 million documents obtained in his yearlong investigation. Said evidentiary documents have now been formally given to the Chairman of the U.S. House and Senate Committees on the Judiciary. This monumental and absolutely surprising act will open the vail of secrecy concealing a number of highly alleged sordid facts and dealings suggesting even Treason to the United States. As example of my last comment; earlier on Friday, January 12th, the former President of a Maryland-based Transportation Company was indicted on 11-Counts related to Foreign Bribery, Fraud, and Money Laundering. 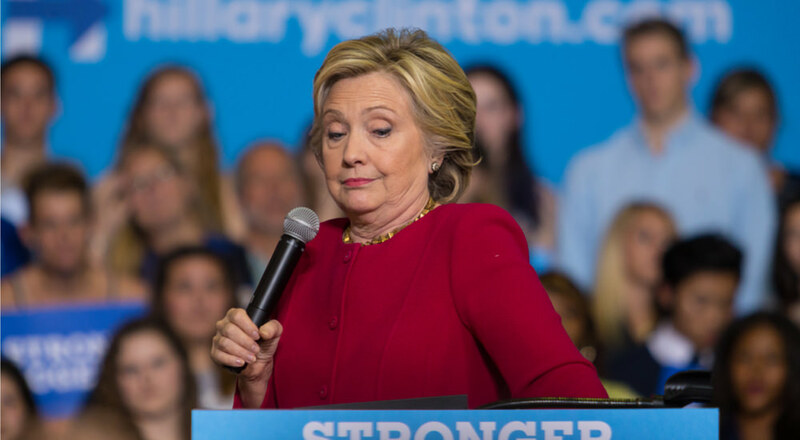 This indictment is the beginning of the complex case related to “Uranium-1”, the giveaway to Russia of enriched, nuclear weapons grade uranium by Hillary Clinton during her tenure as Secretary of State allegedly in exchange for a huge pay-out that went to the Clinton Foundation, and then surreptitiously into other accounts, but all benefitting the Clintons. Beyond this case there is evidence that classified information was leaked by members of the Obama Administration with the trail leading all the way up to the Oval Office, and including, but not limited to: the former Director of the FBI, Mr. Comey; former U.S. Attorney General Loretta Lynch; again the Clinton’s; additional senior level management of the FBI and Department of Justice, and even the leadership of the Democrat National Committee. Review this sobering letter from the U.S. House of Representatives: https://t.co/gscpkulJ5Opic.twitter.com/t8AF7I562T . The 1980’s was a time referred to as the “Era of the Reagan Revolution.” Ronald Reagan came into the White House and immediately set about to restore America’s standing in the world as a strong and dependable ally to those countries choosing peace, and a force to be reckoned with to those countries choosing to enslave, destroy and bring war. Domestically, President Reagan set about to return traditional values to our Nation; values and principles enshrined in our Founding Documents written by our Founding Fathers. Not since then have we had such an advocate. The after Reagan decay in leadership has reached such a height that Obama led an openly spiritual, cultural and political revolution against American values across the board; his hatred for all things America was palpable. Under his almost unchecked authority government would become a vicious instrument turned against the people of America, and the belief in God which once led America to say: “Blessed is the Nation whose God is the Lord” (Psalm 33:12). Government is the problem, as President Reagan use to say. Unfortunately there are many who lost the meaning to the time-honored position of being a “servant-leader.” Service above self is barely honored among many in public office, and among a large contingency spread-out through high offices of authority and incredible power within the last administration it appears, and may soon become more clear, that sinister forces were very much part of the agenda among individuals, as well as this Nation’s government itself. I pray Inspector General Michael E. Horowitz’s investigation and deliverables will now begin to cleanse the deep and infected wound that still is oozing vile political contamination from those who have strong motives to keep the wound from being cleaned, and then healed and restored to health. I pray the Chairman of the two Congressional Committees on the Judiciary bring steady hands and a sharp scalpel to cut away the disease and damage infecting our country by ill-meaning and self-serving people who abused the public’s trust and good will.